Drivers pulled over on suspicion of DUI no longer have to worry about facing criminal charges for refusing to submit to a warrantless blood draw. The Supreme Court ruled in a 7-1 opinion that states may not prosecute suspected drunk drivers for refusing warrantless blood draws. States can, however, require warrantless breath tests incident to an arrest. The case stemmed from a lower court case in which a defendant, who was not prosecuted for any drunk driving charges, was charged with a refusal. He claimed warrantless searches, more specifically warrantless blood draws, were a violation of the 4th Amendment search and seizure requirements. The Supreme Court agreed. Except in certain instances, like an exigent circumstance, our court has already established that search and seizures are unreasonable without a warrant. Additionally, taking blood samples or the administration of a breath test has been well established as a search. The degree that intrusiveness is necessary for promotion of a legitimate government interest. The Court found the physical intrusion of breath tests “negligible.” The breathalyzer requires inflating a balloon by blowing into a machine for about 4-15 seconds, is only capable of revealing one specific piece of information, and doesn’t really implicate any privacy concerns. The machines must adhere to federal guidelines and are generally regarded as very reliable, providing accurate results; there’s no reason officers shouldn’t use this less intrusive method over the more intrusive blood draw. Blood draws pierce the skin, can reveal highly personal information (not just BAC content) about the donor, and allow the use of preserved samples to extract information beyond a BAC reading, all resulting in a more intrusive invasion of privacy. Many states don’t even allow blood draws when an arrestee refuses because of the risk involved with forcibly trying to stick a needle in an unwilling arm. What About the State’s Interest in Highway Safety? The impact of breath tests on privacy is slight, and the need for BAC testing is great. States have a compelling interest in creating effective deterrents to drinking and driving and, thus, hopefully encouraging drivers to make responsible decisions that won’t threaten the safety of themselves, but more importantly, the safety of others. The loss of driving privileges is not enough, alone, to deter the most dangerous offenders. Further, requiring a warrant for every BAC breath test would place a substantial burden on the justice system. Especially when magistrates approving warrant requests have only the evidence offered by the requesting officer to base their approval, thus having no real adequate benefit of waiting to get a judge’s approval. 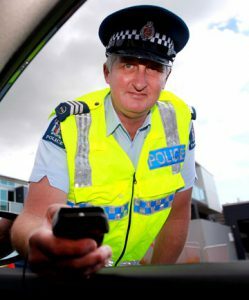 Further, because blood tests are significantly more intrusive than a breath test, the Court found there to be no reasonable alternative as to why a warrantless blood draw would be necessary over a breath test. In the rare situations that a blood draw would be needed, officers can apply for a warrant. Many would refuse the test if they had the option, which is why implied consent laws were created in the first place, but those laws are only implied civil penalties, i.e. loss of driving privileges. According to the opinion, the conditions upon which implied consent laws rest must be related to the privilege of driving itself and have proportionate penalties to the severity of a violation. It’s unreasonable to assume that, when agreeing to a state’s implied consent laws in order to obtain a license, prospective drivers agree to criminal charges for refusing to submit to an intrusive and warrantless blood test.